Series will air on CTV's new kids channel from September 2nd. Studio 100 is continuing to expand the presence of Maya the Bee, with the children’s animation now due to air in the Czech Republic. 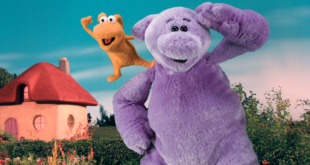 The new series will broadcast on CTV’s kids’ channel CT:D from September 2nd on weekdays at 5.05pm and reruns at 8.35am. The series will be broadcast during the popular prime time show, Kouzelna skolka. Maya the Bee in CI has already been sold in 134 territories worldwide, including other countries in Central Eastern Europe. 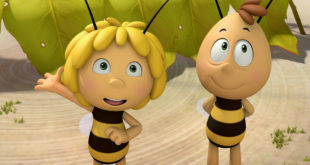 "We are delighted with the continued success of Maya the Bee; the new CGI format gives the series a fresh modern look, while keeping alive the gentleness and colourful playfulness of the original," said Evy van Nederkassel, licensing and sales manager at Studio 100. "We are delighted that audiences in Czech Republic will soon have the chance to view this fantastic series." The licensed product range for Maya the Bee in the Czech Republic includes plush and cushions, a memo game, cup, bath toys, food and accessories. More products are due to arrive from September, while Maya the Bee – Movie will be launching in 2014.